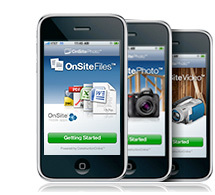 UDA is pleased to announce the release of OnSite Mobile Applications for the iPhone. After months of development, UDA Technologies is proud to make three extremely valuable OnSite mobile apps available to the public, OnSite Photo, OnSite Video, and OnSite Files. Meant to complement the use of ConstructionOnline, these mobile apps are currently available for free download. UDA Business Certification was officially completed today for Apple's newly released iPad, allowing ConstructionOnline users to take advantage of the new mobile technology. Testing and certification was managed by the UDA Quality Assurance Group, a team of engineers and testers responsible for maintaining software standards at UDA Technologies. In conjunction with the release of Microsoft newest product line, Office 2010, UDA ConstructionSuite 2010 has been engineered to be fully compatible with Microsoft Office 2010. To expand the convenience and accessibility of our daily training sessions, UDA Technologies has expanded the popular Webinar Series to now include Recorded Webinars. Designed for both current and prospective clients, the ConstructionSuite Webinar series provides a comprehensive overview of the ConstructionSuite and ConstructionOnline systems through sessions that can now be downloaded and viewed at the client's convenience. UDA Technologies, the leader in construction estimating and project management solutions, today announced its free mobile office solution for BlackBerry smartphone users, ConstructionOnsite Photo. 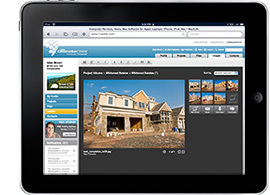 The ConstructionOnsite Photo solution allows BlackBerry smartphone users to take photographs and automatically upload them to ConstructionOnline, allowing project team members to access them anywhere, anytime, from any computer with an internet connection.